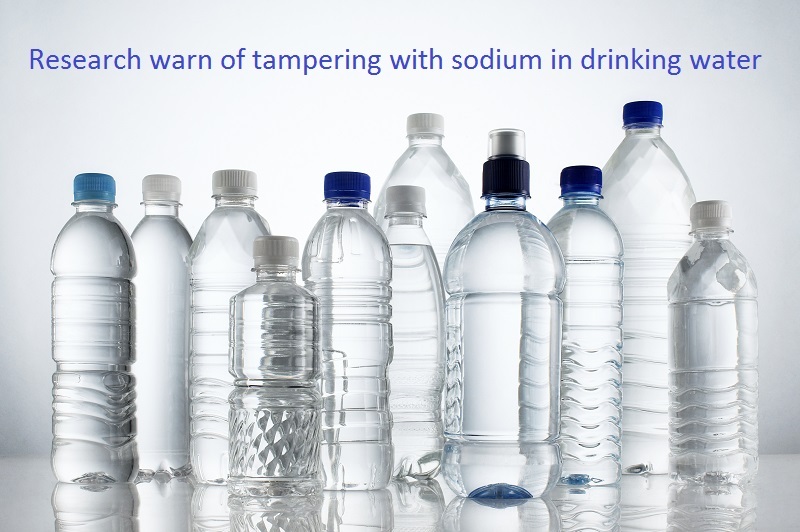 It seems that we have an appointment with a battle entitled “tampering with sodium rates in drinking water”. While water bottling companies promote low-sodium packages, researcher in the carcinogens Dr. Fahad al-Khudairi launched in last October “wake-up cry” warning against the danger of low-sodium bottled water; stressing that tinkering with sodium for marketing is of health risk and a deception to consumers; citing a report conducted by “Mayo Clinic” in this regard. In details, food and medication approach the problem without a scientific solution amid Emirati official reply similar to Dr. Fahad Al-Khudairi’s. In the background, a researcher at King Saud University has recently reached interesting results and posted them in the portal of “Zamzam Water”. The battle of sodium began with a tweet on Twitter in which Dr. Al-Khudairi said: “Tampering with sodium for marketing is deception for the consumers who is unaware of the seriousness of this on health.” Then Khudairi highlights a medical report published in the internationally-known Mayo Clinic. The report reveals the danger of low sodium on general health. It unveiled that low rates of sodium in drinking water cause Hyponatremia whose risks are published in Mayo Clinic. According to Mayo Clinic report, sodium plays a key role in the human body. It controls sending nerve messages from the central nervous system to the body organs or vice versa. It also builds cells, activates the enzymes, and affects the blood pressure and the proportion of water in the cells. The normal sodium rate ranges between 135 to145 equivalent milliliters per liter of sodium. For the importance of the sodium element in the body, the adrenal gland secretes a certain hormone that re-absorbs sodium before mixing with the urine. Food and Drug Authority (FDA) underscored this issue months ago on its official website. It responded to rumors after circulating news that some bottled drinking water causes blood pressure and urinary tract infection because of containing a high proportion of sodium. FDA denied that saying: “Bottled water contains low amounts of sodium compared to sodium in many other food products. Saudi and Gulf technical list identifies bottled drinking water No GSO1025 / 2014 as safe for containing safe levels of soluble solids (including sodium). It requires that drinking water should contain safe rates that do not pose a danger to consumer health. FAD’s response goes in line with owners of companies and factories that continued to promote its products as “containing low sodium levels”; in an orientation that Mayo Clinic rejects.